Making Gary safe, livable, and clean is the overarching vision that guides all planning efforts. 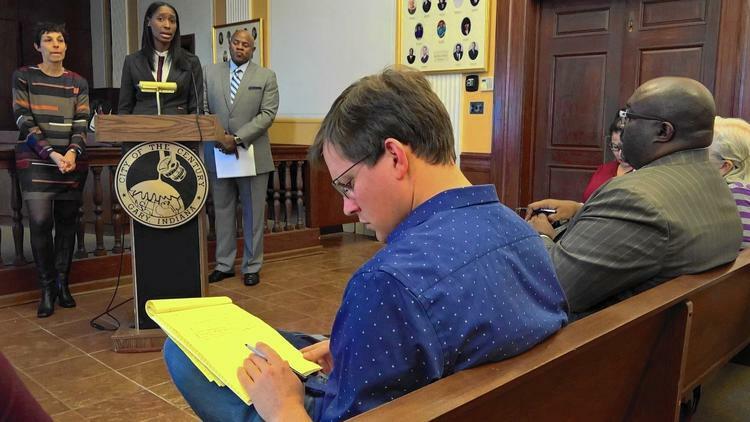 Planning encourages progressive land use decisions, consistently works to improve City of Gary ordinances and processes, and carefully reviews each development plan. We provide assistance to businesses, developers, and residents as they seek permits and licenses, develop site plans and start business operations so we can continue to rebuild and strengthen our City together. We believe that accountability in government starts with providing a process that everyone can understand and a streamlined approach to problem-solving. 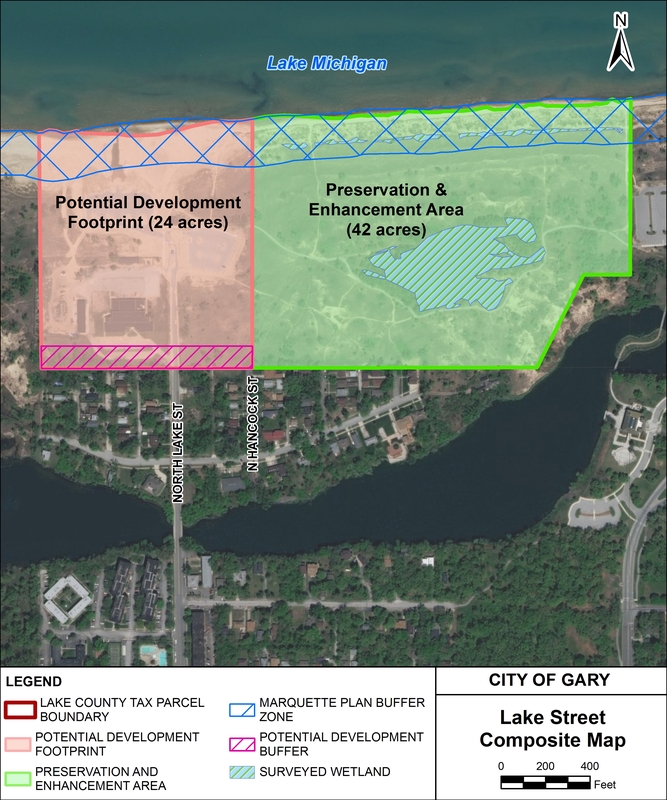 The City of Gary Department of Planning and Redevelopment intends to subdivide the parcel at the north end of Lake Street, commonly referred to as Lake Street Beach or 860 North Lake Street, with the official address of 5600-64 Indian Boundary, for the purpose of economic development. 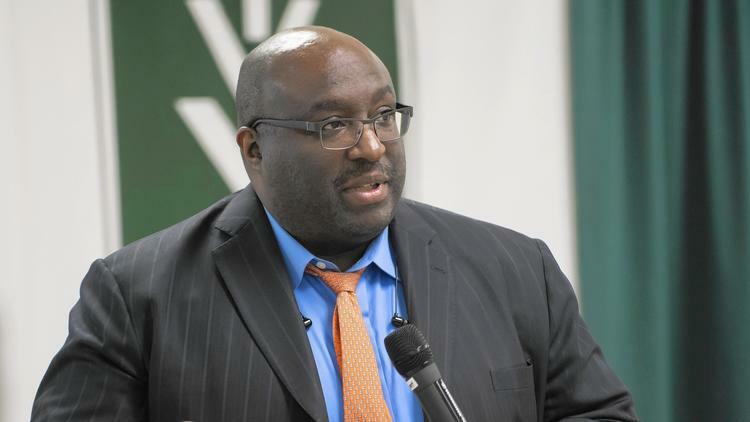 The request to subdivide the single parcel will result in two parcels with two addresses, as to allow the City to record the western 24 acre parcel under ownership of the Gary Redevelopment Commission, and the remaining eastern parcel under the name of the City of Gary Parks Department. A map of the proposed subdivision is below, as is the notice of public hearing. 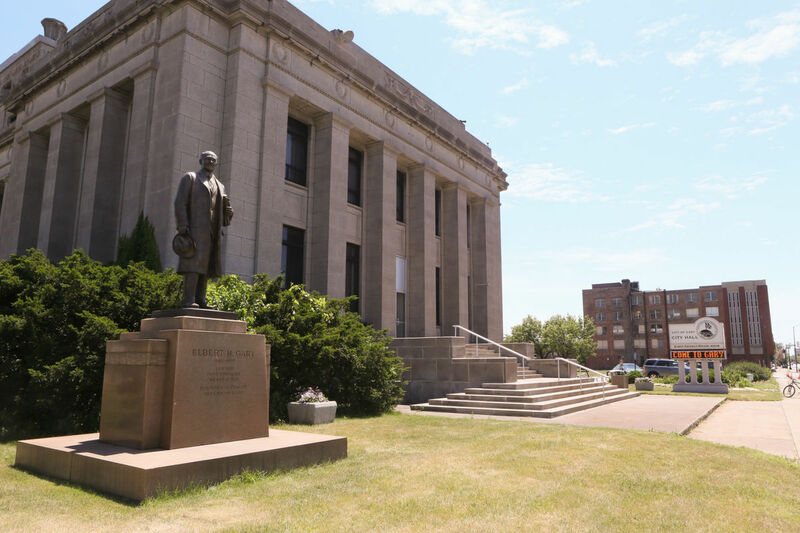 The Gary City Plan Commission will hold a Public Hearing on Tuesday, March 12, 2019 at 12 Noon in the City of Gary Municipal Building (City Hall) located at 401 Broadway, Gary, Indiana, on the 2nd Floor in the Council Lounge. PC 19-01 - City of Gary Department of Planning and Redevelopment, 504 Broadway, Gary, Indiana petitioning to Subdivide 24 Acres of an existing 65.5 Acres at approximately 5600-64 Indian Boundary, Gary, Indiana to Transfer from City of Gary to Redevelopment Commission & Parks Department. You may telephone the Gary City Plan Commission at (219) 881-1332 for further information. Also, you may appear before the Plan Commission to voice your opinion and/or concerns regarding this matter.